This “riveting” (Los Angeles Times), “crackerjack read” (Smithsonian) turns the lead-up to the most infamous day in American history into a ticking time-bomb thriller. Never before has a story you thought you knew proven so impossible to put down. In Washington, DC, in late November 1941, admirals composed the most ominous message in Navy history to warn Hawaii of possible danger—but they wrote it too vaguely. They thought precautions were being taken, but never checked to be sure. In a small office at Pearl Harbor, overlooking the battleships, the commander of the Pacific Fleet tried to assess whether the threat was real. His intelligence had lost track of Japan’s biggest aircraft carriers, but assumed they were resting in a port far away. Besides, the admiral thought Pearl was too shallow for torpedoes; he never even put up a barrier. As he fretted, a Japanese spy was counting warships in the harbor and reporting to Tokyo. There were false assumptions and racist ones, misunderstandings, infighting, and clashes between egos. 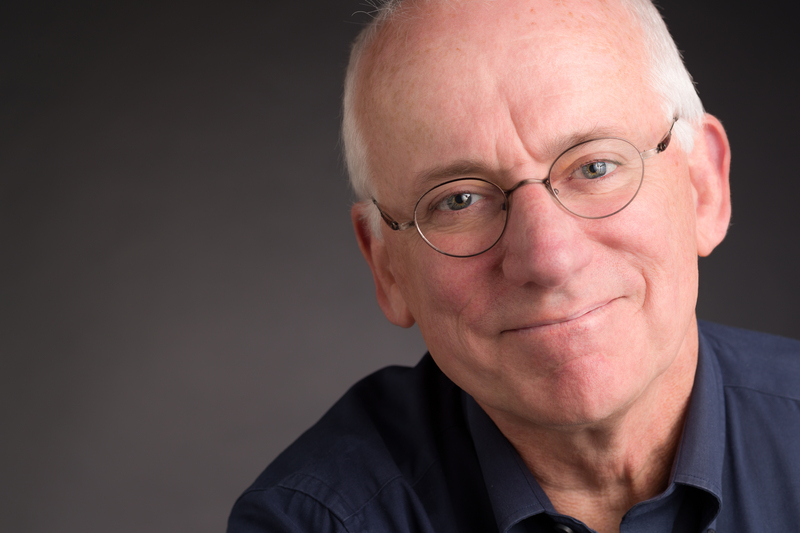 Through remarkable characters and impeccable details, Pulitzer Prize–winner Steve Twomey shows how careless decisions and blinkered beliefs gave birth to colossal failure. But he tells the story with compassion and a wise understanding of why people—even smart, experienced, talented people—look down at their feet when they should be scanning the sky. The brilliance of Countdown to Pearl Harbor is in its elegant prose and taut focus. “Even though readers already know the ending, they’ll hold their collective breath, as if they’re watching a rerun of an Alfred Hitchcock classic” (St. Louis Post-Dispatch). BENEATH OAHU’S CLOUDLESS blue canopy, men in white jackets, slacks, hats, even shoes, surged over a gangway and spilled onto the polished wooden deck of a ship named for one of the forty-eight states. Every battleship in the fleet bore the name of one, as if its species embodied the very Union itself. The officers snapped salutes to the Stars and Stripes at the Pennsylvania’s stern, 608 feet from her bow. By now, each of the sixteen American battleships was older than most members of her crew and not exactly gazelle-like, lugging armor plating, crowded magazines, big guns, small guns, antiaircraft guns. But they remained tough and still occupied the rung of highest naval prestige, which was to sink the enemy’s big ships so America could rule the waves of commerce and impose its will, should that seem desirable. To witness a broadside from their main batteries was to see an angry Zeus hurl tons of explosives a dozen miles or more. A radioman aboard the California would recall the 35,000-ton ship’s “convulsive lurch” as blasts from the fourteen-inch guns slammed her in the opposite direction, “sideways in the water.” There would be “mighty thunderclaps of sound,” and flames, and smoke that “smelled as if it had just come from the nether regions.” Hanson W. Baldwin, the military-affairs reporter for the New York Times, found it “frightening” to be aboard a battleship and “have a sixteen-inch gun go off at full load and high elevation, because you get an awful whump in the stomach and ears, and everywhere else!” In a few months, the program of the Army-Navy football game in Philadelphia would feature a photo of the Arizona crashing bow-on through formidable seas, seemingly unsinkable and certainly intimidating. Battleships had panache, and people loved the sight of them. Arriving from throughout Pearl Harbor, the guests in white uniform eddied aft and formed into a square, its center left empty, beyond the last of the Pennsylvania’s four main turrets, whose three barrels had been elevated slightly to make more room for the capped heads beneath. Above, on the turret’s roof, stood announcers of the Columbia Broadcasting System. One microphone for the outgoing admiral had been placed in the middle of the human square, another for the admiral ascending. Two thousand ninety-one nautical miles to the northeast, on the mainland, it was Saturday afternoon. “The ceremony is about to get under way,” CBS’s Victor Eckland said, “and as we take a sweeping glance from one side of this giant battleship to the other, we see an array of manhood in naval officialdom of which every American can be justly proud.” The navy did seem to inflate the national pride. More than the army and the marines—there was no separate air force yet—it wore a halo of glamour, sailing the country’s two flanking oceans, slicing protective wakes. As was often and simply put by press and politicians alike, America had invincible warships. Visiting Hawaii the previous September, the secretary of the navy, Frank Knox, had let himself positively roar: “The greatest, most powerful and the most effective fleet on the high seas anywhere in the world.” He would utter similar claims during the coming months, including one that would be published on the front page of the New York Times edition that would be delivered to doorsteps on the first Sunday morning of December, the seventh. Some officers on Oahu wished Knox would be less enthusiastic. They knew the navy was not ready to fight. The public might get the wrong idea. That day’s change of command would be less celebratory than was traditional during peacetime, not because America was at war, but because it was rapidly approaching one and was rearming as fast as it could, faster than at any time in its history, racing against an emptying hourglass. Since 1939, the Nazis had overrun much of Europe and had besieged Great Britain, and since 1937, the Japanese had consumed much of China and had swarmed into Indochina. Full-dress attire would not be in order aboard the Pennsylvania. Guns would not boom in salute. Air fleets would not dapple the sky in review. Nor would the harbor pause in respect. “We hear the hum of work—riveters, steel workers, ship fitters, boilermakers, and all of the other men and machines that are being kept busy here at Pearl Harbor,” Eckland went on. During annexation hearings in 1898, General John McAllister Schofield, who had explored Hawaii extensively, told the US House of Representatives that Oahu’s clover lagoon would be ideal for a modern navy—meaning a late-nineteenth-century one, which had no worries about being trapped in a confined harbor and riddled by airplanes, for there were none of those yet. Pearl’s narrow mouth and channel could easily be guarded against an incursion by hostile warships. Any shells fired from offshore could not reach warships tethered inside. The lochs and surrounding land could support dozens of warships, as well as docks, maintenance shops, and coal stocks for ship boilers. If we don’t take Pearl Harbor and Hawaii, General Schofield testified, the Spanish might. The Japanese might. Imperial lust had triumphed. On August 12, 1898, in a ceremony in Honolulu, the flag of the United States had risen above its newest acquisition, probably against the wishes of most Hawaiians. Attending the Naval War College in Newport, Rhode Island, in 1934, for example, he had simply declined to write his thesis on the assigned topic, the relationship in naval warfare among strategy, tactics, and command. Too broad for one paper, he had told his instructors. With sarcastic understatement, he had written that the assignment left him “confused by the multiplicity of tasks and by the realization that an industrious and gifted writer”—presumably him—“might, somewhat inadequately, cover the subject [only] in a lifetime.” So he would not try. He framed his own topic and proceeded to discuss that. Richardson regarded Roosevelt as a meddling amateur, a dangerous one. As relations with Japan deteriorated, the admiral feared that the president did not appreciate just how undermanned and untrained his navy was, even as Roosevelt counted on it to scare the Japanese into staying in line. “If you do not tell the boss what you really know and feel about the possible cost and duration in an Orange war, NOBODY WILL,” he had written the department on January 26, 1940, using the euphemism for Japan employed in American war games. It was deeply misguided to think the Pacific Fleet had the manpower, the guns, the supply system, and the training to back up the tough statements and strategies of the civilian leadership, Uncle Joe felt, and Japan knew it. Traditionally, the fleet had lived on the West Coast, in the ports of San Diego and Long Beach, visiting Pearl only on maneuvers. The harbor’s lochs had been more of a forward outpost with a small permanent flotilla, and it lacked much of the infrastructure of a major base. But on April 29, 1940, a few months after Richardson had taken command, Roosevelt ordered the entire fleet to take up station in the embracing arms of Pearl until he said differently. With France, Great Britain, and the Netherlands diverted by the brutal struggle against Germany, he had reasoned that their Far East colonies would tempt the Japanese, which indeed they did. A fleet sitting so much nearer would deter them, the president thought. But to Richardson, FDR’s move smacked of bluff, given how unready the fleet was, all for the sake of a part of the world, the Far East, that he thought should not mean that much to the United States anyway. “I feel that any move west [to Pearl] means hostilities,” Richardson had written to Washington on May 13, 1940. “I feel that at this time it would be a grave mistake to become involved in the [Far East] where our interests, although important, are not vital.” In a September 12 memo, he told Secretary Knox that the president’s policies were “aggressive.” The memo had wondered whether anybody in the capital had given careful thought to anything. Not only was the navy not ready for war with Japan, neither was the public, Richardson believed, because Roosevelt had not been straight about the threat, not wishing to upset voters so near the 1940 election. Nor did Richardson confine himself to questioning grand strategy and national policy. In the same memo, the admiral gave Knox all the practical reasons Roosevelt had erred in moving the fleet to Pearl. Morale among crews had dropped because their families remained in California; every single necessity—oil, munitions, replacement personnel, oceangoing targets for gunnery practice—had to be brought from the mainland. Oahu’s recreation and training facilities could not absorb thousands upon thousands of newly arrived officers and enlisted men. The sheer volume of ships clogged even spacious Pearl. These were excellent, almost undeniable points. Putting the fleet at Pearl was disruptive. But by complaining so loudly, Richardson came across as uncooperative, pessimistic, defeatist. And those were unwelcome qualities in a military commander in a dangerous global environment. Summoned to the capital, the admiral sat down with the president on October 8, 1940, and promptly removed any doubt about how long he ought to serve. “Mr. President,” he said, “I feel that I must tell you that the senior officers of the Navy do not have the trust and confidence in the civilian leadership of this country that is essential for the successful prosecution of a war in the Pacific.” Richardson was not unburdening himself spontaneously. He had planned exactly what he would say. “I thought that the President could be shocked into either changing his policies, or providing adequate implementation of them,” he said, by beefing up the fleet, especially by bringing ship companies up to full complement. In Richardson’s view, a misguided civilian needed a healthy face slap of reality from a career officer. “I can state with complete accuracy that when the President heard my statement, he looked and acted completely crushed.” Well, of course he did. The navy, the object of Roosevelt’s lifelong affection, had just spurned his love. After he was fired a few months later, Richardson told Knox, “I have never known a commander in chief to be detached in such a summary manner as I have been, and I feel that I owe it to myself to inquire as to the reason for my preemptory detachment.” Knox must have been amused at the presumption of innocence. “Why Richardson,” he replied, “when you were in Washington last October, you hurt the President’s feelings by what you said to him.” At least the admiral would savor a morsel of grim satisfaction. Ten months after the change of command, listening to the radio at home on a Sunday afternoon in Washington and as shocked as every American, Richardson would realize that being removed in a humiliating ceremony aboard the Pennsylvania in February was not as bad as commanding the fleet in December. The other officer striding across the flagship’s deck had grown up, as Richardson had, hundreds of miles from the sea, in Henderson, Kentucky. If a civilian had been told to conjure the visage, carriage, and career of an admiral in 1941, Husband Edward Kimmel would have materialized. He owned the part. During the coming summer, the most famous painter of navy officers, McClelland Barclay, would depict the new commander as regal and youthful, his face ruddy and largely unlined at fifty-nine. Above all, the oil portrait would capture confidence, its subject’s clear conviction that he could do anything. This was no defeatist. Cheeky classmates, quoting the Russian novelist Ivan Tourgenieff, had written in the Naval Academy yearbook of 1904 that Kimmel “had the air of his own statue erected by national subscription.” He never engaged in anything more strenuous than swinging golf clubs (which he did not do especially well), yet he stayed reasonably fit and energetic. Two inches shy of six feet, with blue eyes and sandy blond hair sliding toward gray at the temples, he spoke in the cadences of his South, sanding the edges off words. His only real physical impairment was his hearing, diminished in his left ear and made worse perhaps by having been too close to too many big guns during too many exercises, gunnery being a Kimmel field of expertise. When walking, he asked people to stay to his right, so he could hear them better. As an ensign, a commander, a captain, and an admiral, Kimmel had sailed almost every sea the planet offered and stepped on every continent, or at least the ones that were not all ice. He had nearly four decades in uniform. He had commanded a destroyer, a cruiser, a battleship, then squadrons of destroyers, then divisions of cruisers, and even bureaus in the Navy Department, first Ordnance and then Budget. The navy was his oxygen. He had bled for it. In 1914, as he stood on the deck of a warship sent to protect American lives during Mexico’s revolution, a bullet—fired from ashore by someone unknown—had struck a railing and splintered, the shards wounding him in an arm and both legs. “Lieutenant Kimmel,” his commanding officer had said in a letter for his personnel file, “remained at his post.” In a photo, dollops of blood stain the right sleeve of his white uniform. He looks untroubled. Kimmel had first seen Oahu on July 16, 1908. “I have heard for years of the beautiful country, fine climate and delightful people living here in the Islands,” Ensign Husband had written his mother, Sibbella, “and am now ready to vouch for all three.” He was twenty-six, four years out of Annapolis and aboard the Wisconsin, one of sixteen battleships that constituted the Great White Fleet, so christened because each had been painted white. The sixteen had departed Virginia in December 1907 on a feat of seamanship that President Theodore Roosevelt—the cousin of the future White House naval enthusiast—envisioned as proof of escalating American greatness. The sixteen were circumnavigating the globe. No navy had done it. During their stop in Honolulu, Ensign Kimmel had gone to the beach, the mountains, a local aquarium, and a dance, where he “met some of the native girls.” They were nicer looking than Negroes back home, he had written his mother, a sentence probably offensive to few, if any, whites back in Henderson. He was having the adventure of his days, often writing home to declare he had been to some event or dinner and enjoyed it immensely. Perhaps other ensigns in the fleet peppered their letters with insecurity and loneliness, but rarely did Kimmel. He was more likely to send mother Sibbella a drawing of fleet formations or a narrative of target practice. “As you know,” he had written her on March 22, 1908, from Magdalena Bay, Mexico, “in the superimposed turrets, we have mounted two eight-inch and two twelve-inch guns.” If Sibbella did know the intricacies of American battleship turrets, it was because her son’s previous letters had educated her. Considering his family history, no one in Henderson would have foreseen that he would have such enthusiasm for the naval life, especially after a young Husband and four Henderson friends had overturned in his sailboat on the Ohio River. After its recovery, a sign appeared on the little craft: “This boat for Sale Very Cheap—H.E. Kimmel.” His father, Manning, was all army, a graduate of West Point and a former cavalryman. Husband had wanted an army career, too, but had to settle for the Naval Academy, finishing thirteenth in a class of sixty-two. He was “intensely earnest about everything,” the 1904 yearbook said, and “the best type of greaser,” academy slang for “bootlicker.” He may have preferred the army, but Kimmel demonstrated an aptitude for the pinpoint requirements of naval gunnery. He liked exactitude, and putting a shell on a distant, moving target required just that. He liked procedures. He wanted order. Officially, Kimmel owed the honor to Roosevelt, who had signed off on his appointment. The two had met decades earlier, when Kimmel served as an aide to the then assistant navy secretary during festivities commemorating the opening of the Panama Canal. Since then, they had encountered each other on occasion, as presidents and ranking officers do, but friends they were not, though Kimmel found him “an engaging kind of chap.” Almost certainly, the man who had pushed harder for Kimmel than anyone was the secretary of the navy, Frank Knox. Kimmel had spirit. Knox liked spirit. Born on New Year’s Day 1874, William Franklin Knox still rippled with energy at sixty-seven, a fitness fanatic. “Short, stocky, straightforward, more prepared to be friendly than hostile,” in the words of Attorney General Francis Biddle, Knox “was not subtle, but he was healthy and decent to the core.” Gutsy as well. Knox had experienced the mixed thrill of a bullet zinging through his hat in the charge up San Juan Hill with Teddy Roosevelt’s Rough Riders, and at forty-three, had enlisted to fight in the Great War. Eventually, he wound up in a nonlethal but still combative pursuit in the form of newspapering in Chicago, where he owned the Daily News. Oddly, Knox was a Republican, and quite a public one. He had been the GOP candidate for vice president in 1936. But seeking a bipartisan gloss for his policies of providing aid to embattled Great Britain and building American defenses in a world at war, Democrat Roosevelt had asked Knox to become navy secretary in 1940. Knox disliked many things about the president’s New Deal, but he deeply admired his clarity regarding the Nazi threat. If anything, Knox wanted even tougher measures directed against Germany, if not all-out shooting. This had prompted Democratic senator Burton K. Wheeler of Wyoming to label him an “irresponsible, erratic individual.” With a vehemence spelled out in capital letters, Knox loathed those who, like Wheeler, demanded that Roosevelt keep the country fully neutral in Europe’s war. “Indifference to the outcome and pursuit of a policy of rigid isolationism is not only COWARDLY and DESPICABLE, but is as well a BETRAYAL of our vital interests,” a Daily News editorial had thundered. One time while giving a speech, Knox had enthusiastically quoted a letter he had gotten from an admiral: “Always we must have no appeasement, no defeatism, no McClellanism,” a reference to Union general George B. McClellan, who famously exasperated Abraham Lincoln by taking eons to engage the Confederates in a fight. The news not only shocked Kimmel, it briefly worried him. He would command more than a hundred warships, hundreds of warplanes, and thousands upon thousands of men, and most likely have to lead them against the Japanese. Within days of his appointment, Kimmel had written to Admiral Chester W. Nimitz, who had been in the class behind him at Annapolis. “My satisfaction is mixed with anxiety,” he had said, “as to whether or not I shall measure up.” The doubt, though, soon floated away on Oahu’s breezes. Kimmel had always succeeded. Always. His fitness reports glistened. All those superiors who had signed all those evaluations could not all have been wrong. “Of course,” he admitted later, “I had considerable conceit. I’d done pretty well up until that time. I thought maybe I could handle it.” His “wildest dreams” may not have included replacing Richardson, but he had kneaded the idea of someday succeeding someone as fleet commander. That day was simply now. In a letter of congratulations sent on January 9, Joel Bunkley, by now the captain of the California, told Kimmel that he had forecast for years that the admiral would reach the top. “I didn’t know it would be quite so soon,” Bunkley had written, “only because I didn’t know we were going to have a President who would scrap all hide-bound traditions to reach down the list to pick the best man.” “I confess it came sooner that I had anticipated,” Admiral Harold R. Stark had told him, “but that it should come, I have long had in the back of my head.” Stark, who had graduated in the class ahead of Kimmel’s, held the service’s top uniformed rank, chief of naval operations. “I am thankful that I [will] have your calm judgment, your imagination, your courage, your guts and your head at the seagoing end,” he wrote to Kimmel on January 13. “Also your CAN DO—rather than can’t.” Kimmel may not have detected it, but the last words smacked of a slam at his predecessor, Richardson. Many others felt about Kimmel as Stark did, including old friends from Henderson, classmates from the Naval Academy, and shipmates from the teens, the twenties, and the thirties. Their letters in the weeks after his appointment often reflected a foreboding that difficult days awaited. Being dragged into a second act of global violence seemed such a possibility that when the Pacific Fleet took to sea for maneuvers, it doused all visible lights at night to make itself less detectable by submarines, a highly desirable ability in time of war. And Kimmel’s correspondents believed he would be the right man to have in charge if one broke out. The best missive had come from the big house at 512 North Green Street in Henderson, where Kimmel’s diploma from the Naval Academy still hung in the foyer. Kimmel’s mother and father had died years before, leaving only his two bachelor brothers to answer the telephone that began ringing as soon as the president’s choice of a commander had come over the radio. Singleton, now seventy-one, and Lambert, sixty-eight, did not mind the loss of quietude a bit, having been “electrified and delighted” by the news about Hubbie, as they called him. Singleton, as the oldest and now the patriarch of the family, seemed to struggle to adequately convey to his younger sibling how wonderful this news was. Kimmels had fought the British in the Revolution and the Yankees in the Civil War, and had fought the Indians to subdue the West. But this—the four stars that would rest on Hubbie’s shoulders—beat all. “The greatest honor that ever came to a Kimmel,” Singleton had concluded, “or is ever likely to come again.” In ten months, he would pen an altogether different letter, after Hubbie had acquired an altogether different kind of fame. When Richardson and Kimmel reached their respective microphones, it was the outgoing man who spoke first. He did not take note of his premature departure, nor did CBS, nor did Kimmel. All adhered to what amounted to a fiction, that it was a good thing Richardson was heading back to Washington for the next exciting post of an illustrious career. In his remarks, he only hinted that his tenure may have had difficulties. “All of you can take pride in the work accomplished under trying conditions,” he told the guests. “The path ahead is not easy. There is much to be done.” While he regretted leaving, he said, his departure “is tempered by the fact that I turn over this command to Admiral Kimmel, a friend of long standing, a forthright man, an officer of marked ability and a successor of whom I am proud.” It was true; he did like Kimmel. Well before his dismissal, he had put Kimmel’s name on the short list of those who might succeed him. Richardson had a final command to give. Each admiral in the navy had a pennant bearing as many stars as his rank, and it flew, day and night, from the mast of his ship for as long as he held command, giving rise to “flag officer” and “flagship.” Now Richardson ordered his struck from the Pennsylvania. Down the blue ensign fluttered, as if Richardson had surrendered. He stepped back from his microphone. Kimmel stepped forward. Reading through horn-rimmed glasses, he offered Richardson the thanks of the fleet and promised that whatever he and his ships were asked to do for America would be done. “I can only say this, that it shall be my personal motto, or guiding principle, to maintain the fleet at the highest possible level of efficiency and preparedness,” Kimmel said. They would be busy in the coming months, he added, “in light of what we all know.” He then gave his first command. “Break my flag, sir!” and up went one of four stars, not his former two, up into the tropical sunshine, coming to rest above him, above the Pennsylvania, above Pearl Harbor, above the Pacific Fleet of the United States of America. “The crisp, blue-eyed Kentuckian had become now the sole, solitary, infinitely lonely figure that must henceforth bear responsibility for a million tons of fighting steel, the world’s greatest aggregation of warships, the defense and security of his nation,” the reporter for the Honolulu Advertiser wrote. It was a day shy of the thirty-seventh anniversary of Husband Kimmel’s graduation from the Naval Academy. Among the letters of congratulation he had gotten in the month since his appointment was one whose author recalled the remark Kimmel had once made about how being an admiral was so enjoyable that he recommended it highly. “I hope you still think so a year from now,” the writer said. "Steve Twomey vividly retells and reappraises the events leading to the Pearl Harbor attack on Dec. 7, 1941... [and] manages to inject suspense and tension into a tale whose ending we all know.... This book is essential for those who still wonder why the Japanese chose such a perilous path in World War II and why the U.S. fleet was caught unguarded. It is a well-written and engaging account that reinserts human dynamism into a history too often reduced to abstract binaries." 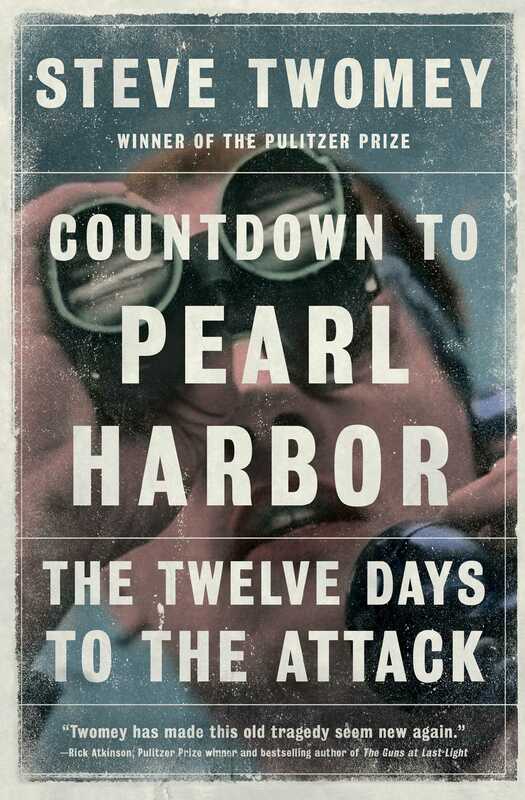 "Pulitzer Prize-winning journalist Steve Twomey uses his impressive research and storytelling skills to recreate the dozen days leading up to the attack on Pearl Harbor on December 7, 1941....Twomey creates a dramatic, page-turning narrative that feels both fresh and suspenseful.... Countdown to Pearl Harbor offers a new and fascinating look at one of the defining events in U.S. history." "A well-researched study of an infamous moment that is still fascinating and controversial." "A fine account of the players and events in the years leading up to the Japanese attack on Pearl Harbor.... The story of Pearl Harbor has been done to death, but Twomey’s vivid work rates high nonetheless."